Civilian Public Service camp 28, Medaryville, Indiana. Getting ready for planting see- Forestry. CPS Camp No. 28, Medaryville, Indiana. An improvised pile driver - working on the banks of the Kaukakee River to prevent flood in high water. CPS Camp No. 28, Medaryville, Indiana. A pull on the sod cutter. CPS Camp No. 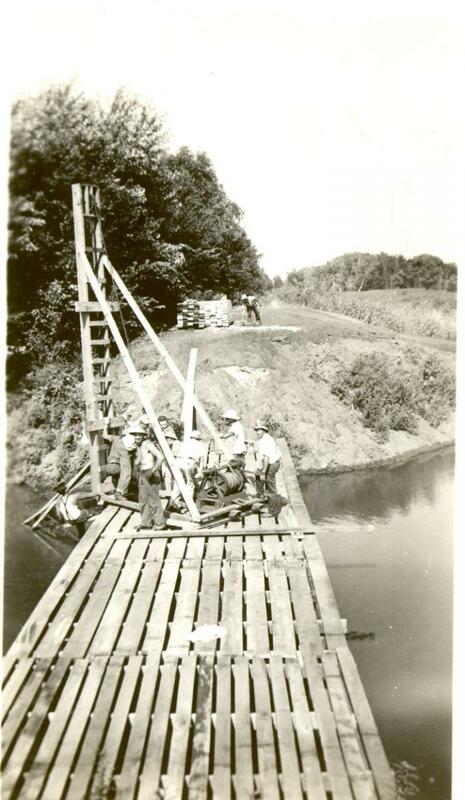 28, a Forest Service base camp located on the Jasper -Pulaski Game Preserve five miles north of Medaryville, Indiana and operated by the Mennonite Central Committee, opened in April 1942 and closed in May 1946. The men planted trees in former strip mines and muddy areas of farms. Many men came from rural areas. When entering CPS, most men in Mennonite camps reported affiliation with a variety of Mennonite denominational groups. The men planted trees in former strip mines and difficult muddy and filthy areas of farms, often referred to as “muck farms”. 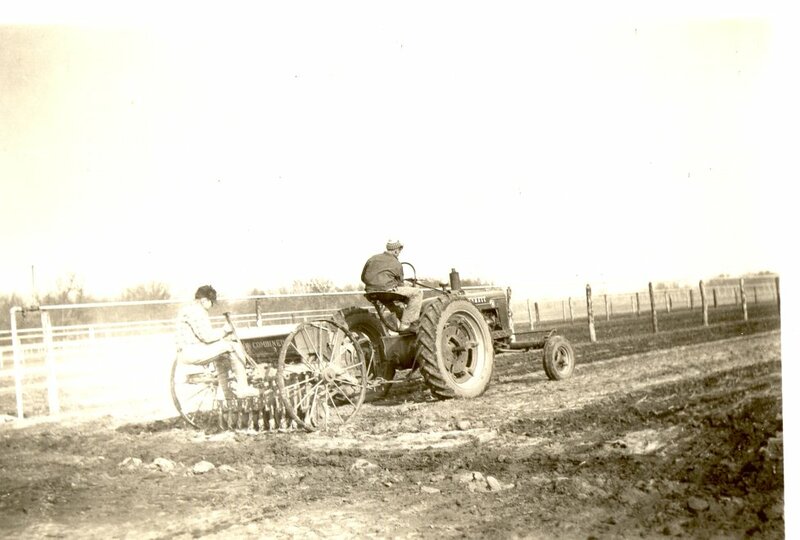 “We are on the eastern edge of the 5,000 acre forest in which there is a tree seedling nursery, specializing in coniferous stock, as well as large game farm on which quail and pheasants are grown for propagation purposes.” (Mennonite Central Committee CPS News Letter, May 1943) The next spring, the nursery shipped some 55,000 trees to parts of Indiana for planting in areas of strip mining, others to muck farms where they were planted as windbreaks. At that time 1.8 million trees were being replanted at roughly 100,000 per day. 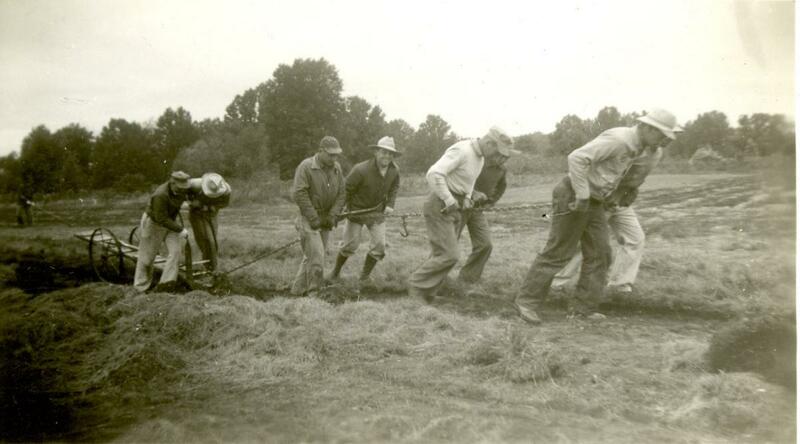 The men performed emergency farm labor on potato and onion farms fifteen miles from the camp. The men also performed fire prevention and control duties, while some held duties in camp maintenance and camp programs. According to Gingerich, this unit experienced excellent public relations with the both the Forest Service agency staff and the community. From April 1942 through March 1946, the men published a camp paper Peace Sentinel, a continuation of the paper published at Camp 13 in Bluffton, Indiana. 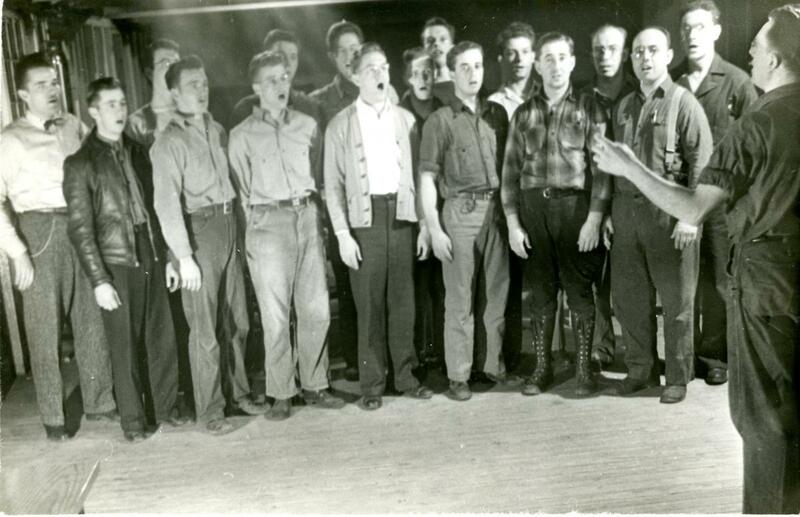 For more information on the work, life and programs in this camp see Melvin Gingerich, Service for Peace: A History of Mennonite Civilian Public Service. Akron, PA: Mennonite Central Committee printed by Herald Press, Scottdale, PA 1949, pp. 126-28.